That’s right folks, you are about to see the top five bulls in bucking bull history in a completely different light! There are a few bulls here that you would expect to see on a top five list and there are going to be a few that you wouldn’t expect to see. The research that went into this article was pretty extensive just because there isn’t just one statistic that makes one bull better than the other. There are about 3-5 different factors that I was looking at to put this list together. Now, before we get to the good stuff, I want to explain a few of the factors that I was considering when making these cuts. First, I wanted to see how many times the bull had been a PBR World Champion. In the case of the top four bulls, that would be multiple times. The fact that a bull is a World Champion more than once says something about the capability of the bull and how it compares to others. Next, I took into account how many times they’ve been bucked versus how many times they have actually be covered. That is called their Buck-Off rate. These bulls range from a 78%-96.5% Buck-Off Rate, which is pretty remarkable. One last thing that I wanted to take into account was the “wow” factor that each bull brought to the table. There is something about each of these bulls that separates them from the rest and played a part in where they fall in the countdown. In full disclosure, I would like to mention that there are several bulls that deserve to be on this list and I guarantee I looked at them all, but comparatively, this was the best comparison to date. The bulls that deserve honorable mentions are Bodacious, Asteroid, Mossy Oak Mudslinger and so many more! Now, I know y’all might be wondering, “Who the heck is Tahonta?” Well, you could ask the 50 bull riders that couldn’t make the buzzer and I am sure they remember Tahonta real well! This big yellow bull was owned by Big Bend / Flying 5 Rodeo and was at the prime of his life in 2003 and 2004. This bull’s “wow” factor was the fact that he was a fluke and a complete accident. He also happened to have a 94.34% Buck-Off rate, which is insane! Compared to the other bulls on the historical list, this guy had an extra edge by being chosen as the PRCA Bucking Bull of the Year, two years in a row. While he may not be a PBR World Champion, he is still in the company of the greats. In fact, when it comes to overall historical ranking, he ranked as number 4. That was the final deciding factor for me in this countdown. When I was doing the research, I found this great article on him which gives a little insight into how this bull came to the best of the best and I guarantee you, it isn’t what you think! Now, it shouldn’t be a surprise that the number one bull on the active circuit is on this countdown, but you might be wondering why he is number four on this list? Bruiser is in the prime of his career and at just eight years old, he could easily go for his fourth PBR World Championship title, which would catapult him to the top of this list. On top of the three he already has, he also has the 2017 PRCA Bucking Bull of the Year title as well. What placed him fourth on this list was his Buck-Off rate and overall historical ranking. He has had approximately 107 attempts and been ridden 23 of those, making his Buck-Off rate 78.5%. One thing to remember about this bull is that he is still “in it” unlike some of the other bulls on this list. Right now, he ranks as number 21 on the historical bucking bull list, but hopefully, that changes in the next year or two. It would be cool to see this bull take his fourth PBR World Championship title. Nailing down the top three choices was extremely difficult, but Little Yellow Jacket is coming in hot for third place. This bull set the bar high back in the early 2000s. Every article or video published about him was the same story, conveying that this bull was different than any other of his time. He took on two-time, PBR world champion Chris Shivers five times and won every time. The last time the two met was the most memorable with $1,000,000 on the line, Little Yellow Jacket bucked Shivers off in a mere 2.6 seconds. That was typical of this bull too. Little Yellow Jacket was named PBR World Champion three years in a row starting in 2002. 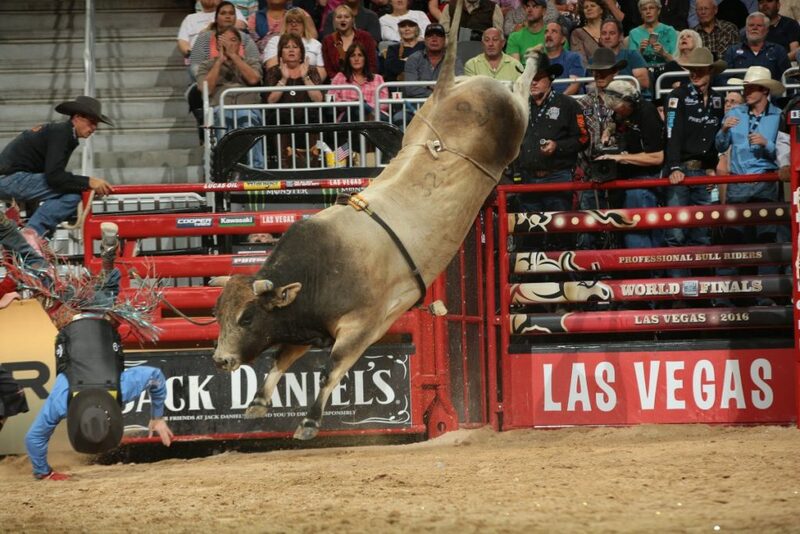 Out of 93 rides, only 15 riders ever made it to the eight seconds, giving this bull about an 84% Buck-Off rate. 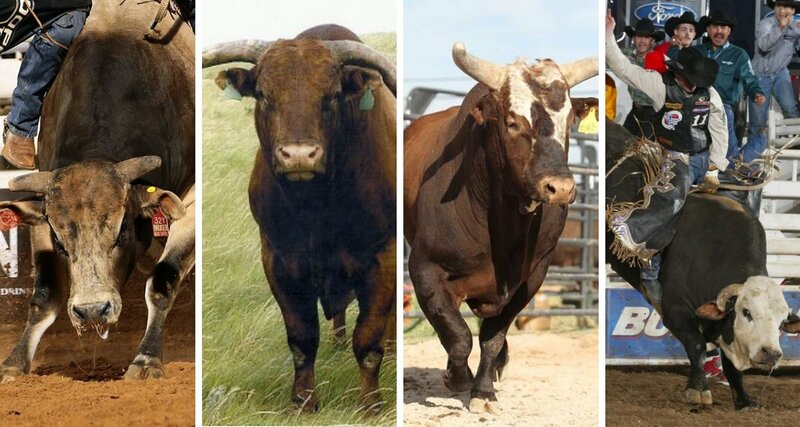 Here are just a few reasons that Little Yellow Jacket is in the top three; one was the fact that his average buck-off time was 2.66 seconds, second, those who made a qualified ride on him had an average score of 93, and he placed 5th in the overall historical bull ranking. The number two spot goes to the great Dillinger! Depending on how well you know your bull stats, this may or may not be a surprise to you. It was a total surprise to me because I don’t think I had heard about him until I started doing some digging. He is a 2x PBR World Champion and only ever gave up seven qualified rides for an 86.27% Buck-Off rate. Which, if you are looking at the big picture might be not as impressive as some of the other bulls, but what he accomplished on those seven rides makes up for it. When Chris Shivers put his leg over this bull at the PBR World Finals in 2001, I don’t think he knew then that he would be receiving, the second highest score of his career and Dillinger was able to give him the edge to do it. Shivers and Dillinger earned a 96.5 that night back in 2001 and have yet to be beaten to this day. 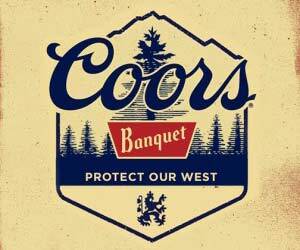 Dillinger holds the highest score in the history of the PBR World Finals and that score is also tied for the highest individual score in the PBR. What puts this bull in the number two spot is the fact that out of the seven qualified rides he had in his career, only two were marked for less than 45 points, which is unheard of. Dillinger has often been referred to as the “Michael Jordan” of the PBR and to this day holds the number one spot on the historical rankings of bucking bulls. Here we are at number one with Bushwacker at the top of our list. Bushwacker set the standard for bucking bulls in our current day and age. He regarded as a PBR celebrity and is treated as such considering he is a 3x PBR World Champion, which ties him with two other bulls on this list, but this bull is the whole package and here’s why. Bushwacker had a total of 87 outs in his career, do you want to know how many made a qualified ride on him? Three. Three cowboys made qualified rides on this superstar starting in 2009, when Markus Mariluch was the first to ride Bushwacker in the PBR for 88 points then Thiago Paguioto was the second to ride him for 89.75 points. This was when he turned into a legendary bull, he went unridden for 42 rides. J.B. Mauney broke that streak in 2013 with a 95.25. Between his 96.55% buck off rate, his overall performance in the arena, and his celebrity status Bushwacker has earned his number one spot. It will be interesting to see is Bruiser can beat this track record in years to come. Only time will tell!